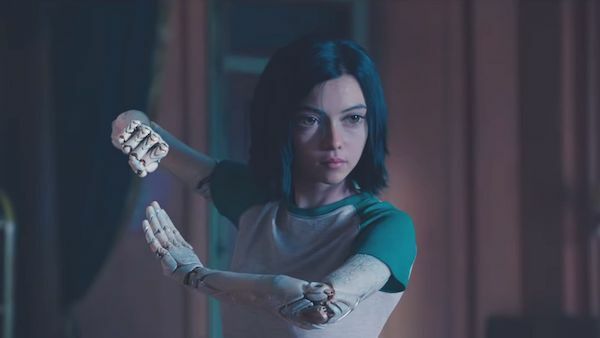 Based upon a manga Alita: Battle Angel has been adapted by James Cameron and Laeta Kalogridis for the screen with Robert Rodriguez taking up the helm of director. In this day and age of CGI getting ever more prevalent, especially in Sci-Fi, whilst James Cameron and Robert Rodriquez have certain associations with CGI pushing films: Avatar and Sin City for example; consequently CGI isn’t a surprising focus. Notably, many Sci-Fi films have pushed boundaries in Cinematography and Visual Effects but without a particularly interesting plot: Prometheus, Oblivion and in some ways Ready Player One. However, with the CGI heavy genre there is a lot of potential to develop some intriguing worlds. When Wonder Woman came out they struggled to create a strong heroine, whilst allowing her to be challenged. 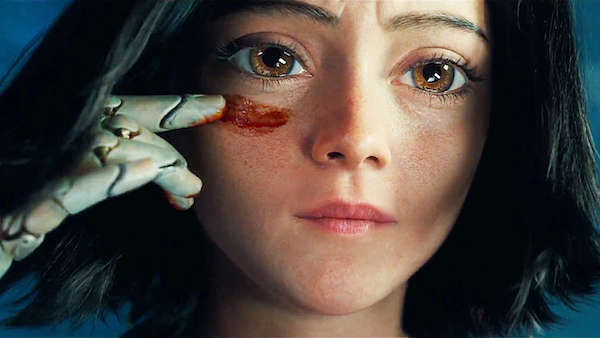 In Alita: Battle Angel they manage to perfectly balance the strength of Alita with the ability to be defeated and as the excitement builds, the ability to be tested mentally. This gives the character a lot of relatability and tension. 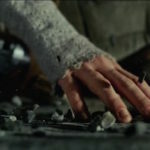 At times she comes across as completely overpowered in the situation but her emotional conviction and ties to other characters start to take over. This really helps push the plot forward in an exciting way. Very quickly, the established world becomes a great tale of strength and character. The world building has a lot of depth, in order to tease out more and more, as it gradually builds. This may make for a slow start to what eventually becomes an action packed extravaganza; but it helps for a well-defined film. It is no surprise that it was based upon a manga, the film has clear characters and an amazing trajectory through its plot. 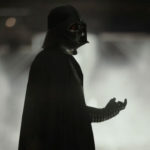 With really strong and heart felt performances throughout the film it’s hard not to get sucked into the universe. 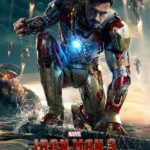 The film looks stunning but the most impressive elements are the motion capture technology used as a basis to create humanistic robots and cyborgs. 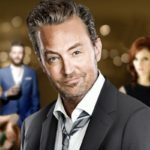 This is a film that boasts its development to tease the desire for more – going deeper into both the film’s world and its possible sequels. Special Effects and plot have managed to work together here to create something that manages to solve the riddle of the strong heroine. 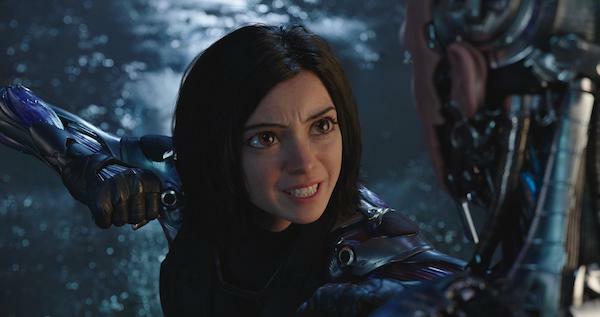 Where Wonder Woman failed and where Captain Marvel will undoubtedly want to tread, there is Alita: Battle Angel. 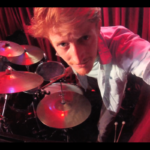 Exciting and visually interesting, but never letting any of this to let go of its heart. 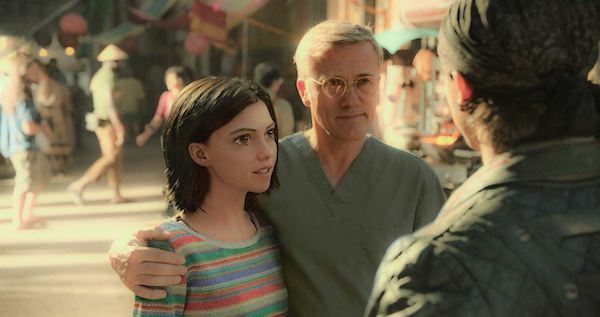 Alita: Battle Angel carries a complicated romance, a parental bond and guardianship of animals into something full of action. Powerful scenes manage to shine through within this little tale. 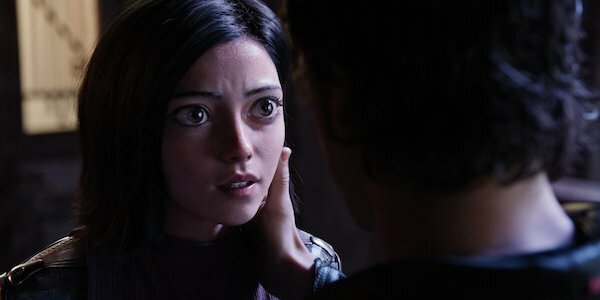 Alita is a cyborg, newly awakened but with superior technology. Through discovering the world around her, she finds that she can be very dangerous.